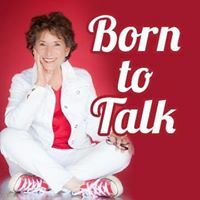 Join me and my guest, Nurse Mona Clayton, on the Born To Talk Radio Show Podcast on Monday, October 8th from 1-2 PT. Mona is the CEO and Founder of “The Nurses Pub.” Her passion for helping single mothers prompted her desire to develop programs useful to build future nurses; in particular single mothers from underserved communities. 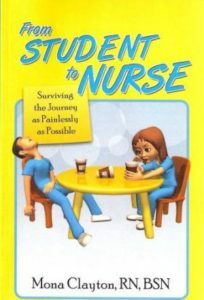 The Nurses Pub is The #1 Global Connection for future nurses and Mona mentors and uses her expertise as an inspirational speaker to guide students to their desired goals. Mona has served as a registered nurse for over 23 years, her experience is vast and we will be talking about why nursing is an exceptional career. She is also an inspirational speaker and author of “From Student to Nurse-Surviving the Journey as Painlessly as Possible,” her knowledge for nursing goes beyond practicing. In 2014, she began the outreach campaign, #Future100K, with the development of The Nurses Pub, a non-profit organization. Mona’s #Future100K campaign has expanded from passionate students, minorities, men and single mothers living in the U.S. to students in Africa, Asia and most recently the Philippines. Nurse Mona aims to recruit 100,00 students worldwide. If you have ever had a loved one in the hospital, then you know the value of the nursing profession. Not only do they provide care but they are the advocate for the patient and the family. What would we do without them especially in a stressful situation? Mona and I met at our Toastmasters Club, Speakers By The Sea, several years ago. She was a dynamic speaker then and continues to receive accolades and awards. 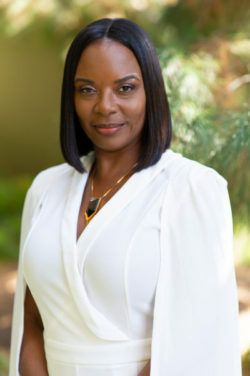 Most recently, in 2017, she received the Distinguished Alumni award from the University of Phoenix-Southern California, selected number 1 out of 92,000. One last thing to share that is exciting for me. Mona has asked me to be the Master of Ceremonies for a big seminar she is having on November 13th, here in Los Angeles for The Nurses Pub, Sponsored by National University, Los Angeles Campus. “How To De-Stress In Times Of Stress.” She has lined up excellent speakers from the medical community and also panelists that will be available for a Q & A after they share their stories. This seminar is designed for current nursing and medical professionals as well as for students considering nursing as a career option. Check out the link for additional information. I’m thrilled to share stories about the passions of my guests, each week. Everyone has a story to tell.